This entry was posted in photo-editing, Photography, pictorials, Pictures, poetry, quotes, trying to be a better Muslim and tagged Allah my protector, Anta Waliyyi Fid Dunya Wal Aakhirah, Surah Yusuf. Bookmark the permalink. JazakAllah. Yeah nothing like the Quran to soothe the mind body & soul. Thanks for dropping by. Subhanallah. 🙂 Thanks for sharing. Definitely an ayah that should be memorized for everyday supplication. 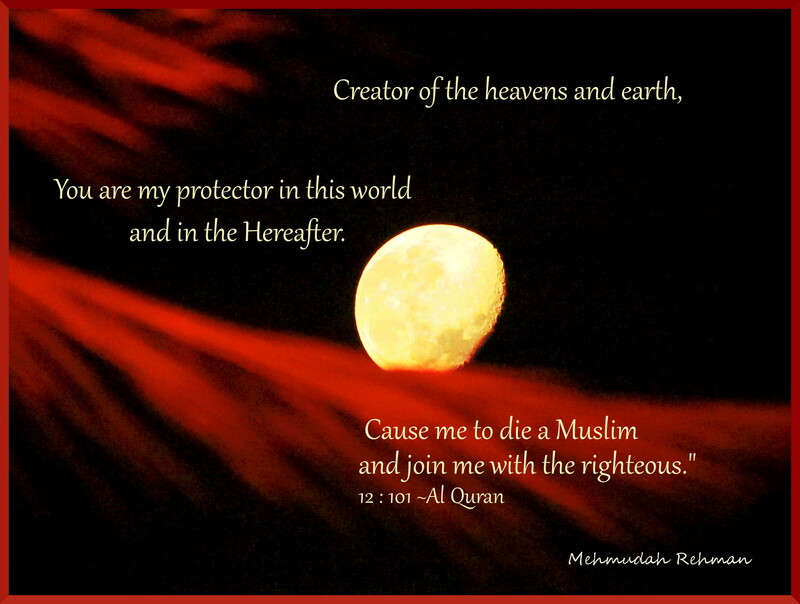 Beautifully Ayat… and moving and awe inspiring too! SubhanAllah!